Here are some highlights of their presentation, followed by some thoughts of my own. 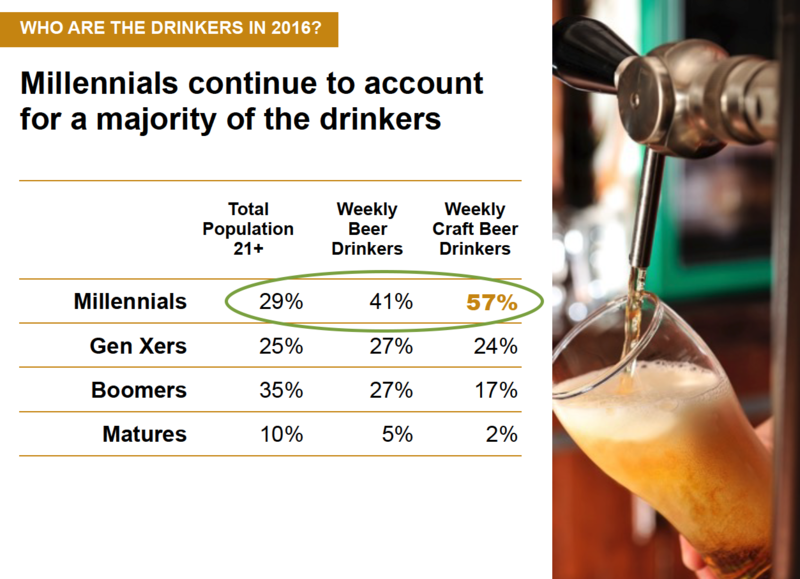 Millennials continue to account for a majority of weekly craft beer drinkers, followed by Gen Xers. Women continue to be under-represented in the ranks of beer appreciators. Although it’s dismal for sure to see that men of drinking age are close to three times more likely to drink beer weekly than adult women, things are not always black and white. 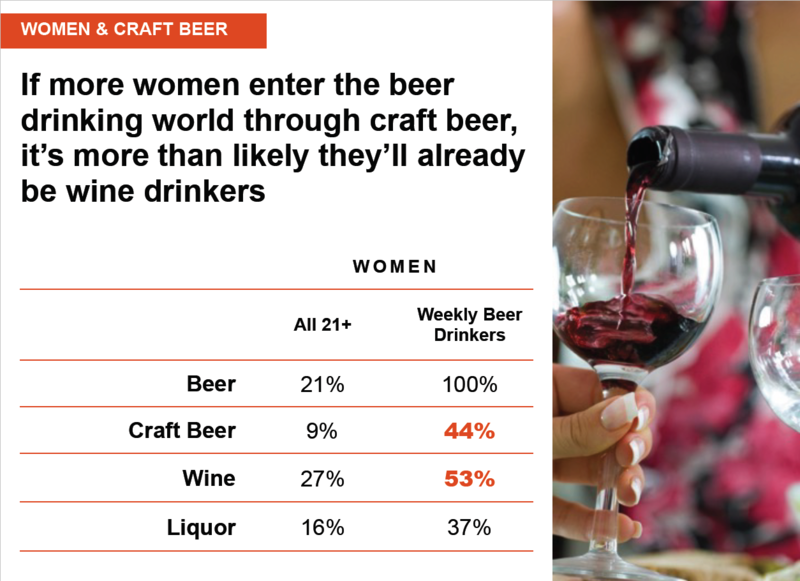 Mike pointed out that women who do drink beer weekly are just as likely as men to choose craft. 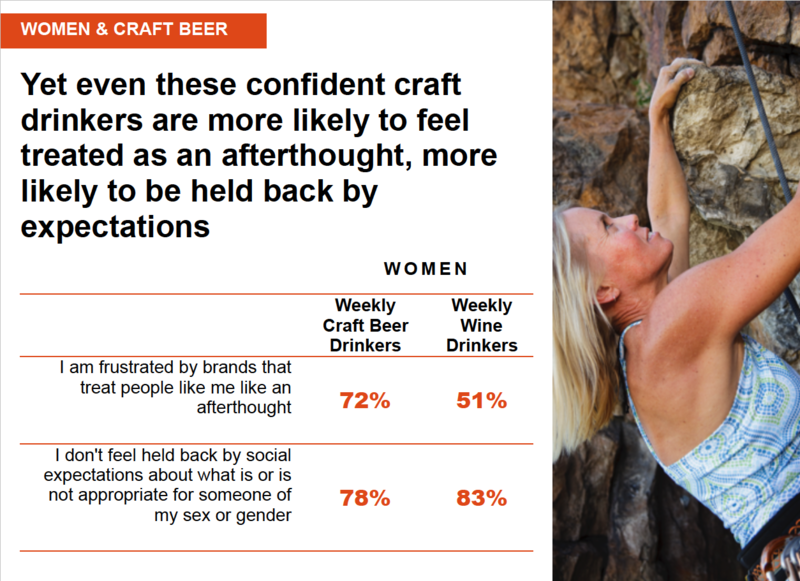 Regardless of gender, close to 45 percent of beer lovers are craft beer lovers. Women who appreciate beer are often “cross-drinkers” who regularly enjoy a variety of beverages. And self-confidence, I kid you not, may be a variable for craft appreciation. 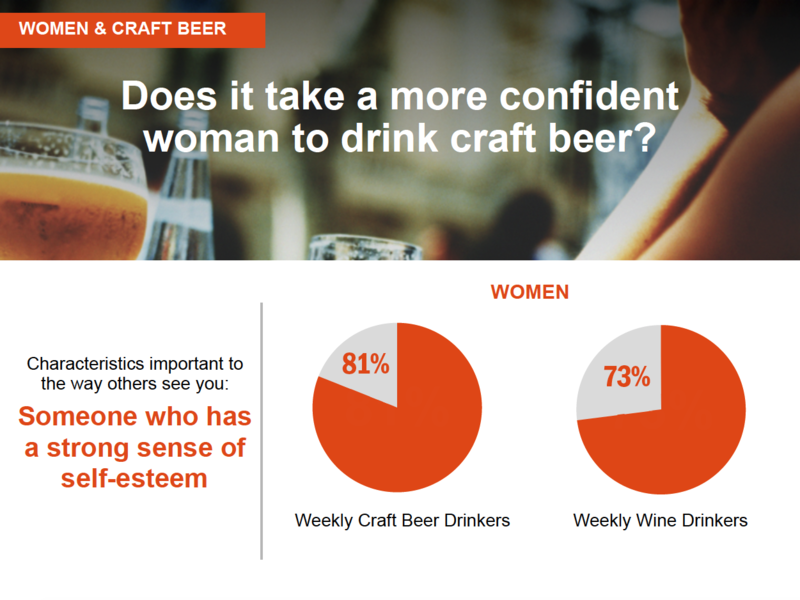 Unsurprisingly, confident beer-drinking women don’t like to be treated as an afterthought or a stereotype. This slide is certainly preachin’ to the choir. Hispanic craft beer lovers are growing in number. 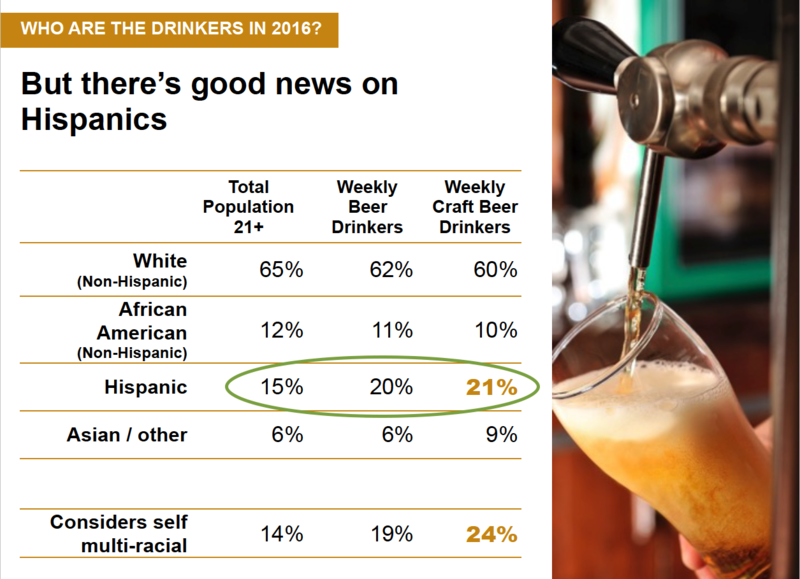 One in five weekly beer drinkers and weekly craft drinkers are Hispanic, making them the second-largest cultural group among craft beer appreciators. Want more craft beer data? Check out this June 2016 Power Hour: Getting Inside the Mind of The Craft Beer Consumer. 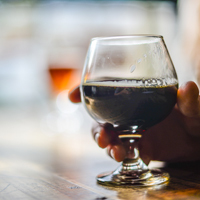 Many purchasers of craft beer identify with brands that are independent and local, and that align with core concepts including authenticity, community and sustainability. Individual identity is more fluid and flexible than ever before and consequently, values have become a more critical means for consumers to connect with brands. Overt-targeting of women or Hispanics may be less effective than eliminating perceived barriers to entry into the world of craft beer. For both women and Hispanics, social media aren’t used for brand decisions as much. Mike and Lindsay emphasized that current Hispanic craft drinkers are much more in touch with their American side than potential new drinkers, yet they aspire to biculturalism. I take any data on ‘craft’ with a grain of salt, for multiple reasons. The largest reason is that in most studies we see, including this one, respondents self-identify as ‘craft beer’ appreciators. As we all know, people don’t always agree on the definition of ‘craft’ — so it’s a moving target on what one respondent considers craft compared to another. Additionally, there is still a margin of error to account for and other variables. On the other hand, this survey features a large sample size so I’m ears to what was reported. 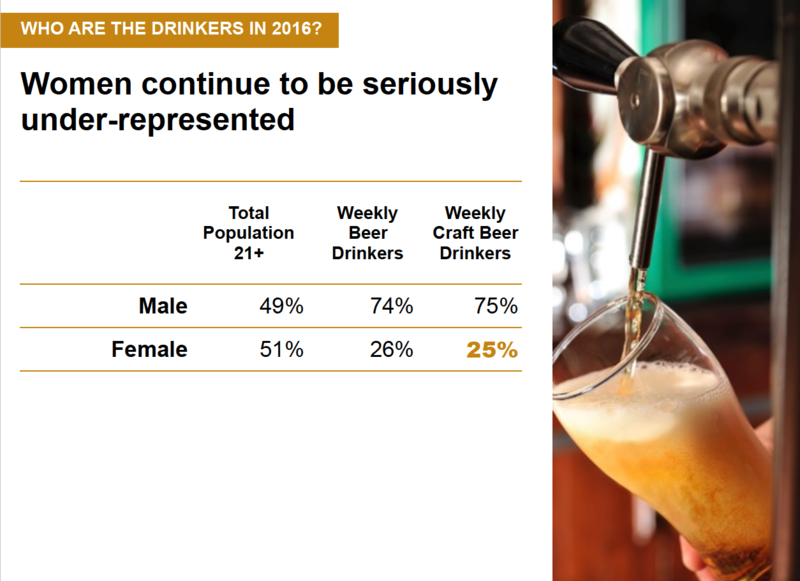 Overall diversity matters for many reasons, and when people ask about the makeup of beer appreciators the topics of gender and ethnic background come up again and again. I love to say that the beverage of beer has no gender and no race. My overall takeaway is to remind brewers that attracting a diverse audience takes in-tune and inclusive marketing that is sensitive to the core concepts and motivators of a variety of legal-drinking adult audiences. As Michael and Lindsay’s presentation emphasized, working to “eliminate perceived barriers” for potential new craft beer lovers is a valuable mantra to master. If you are a Brewers Association member you can download, view and listen to Mike and Lindsay’s presentation. 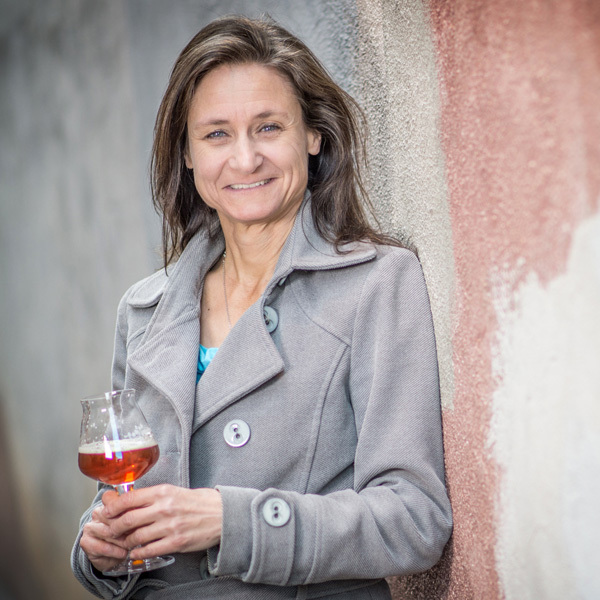 Julia is craft beer program director at the Brewers Association and publisher of CraftBeer.com. In her role at the BA she serves as an educator and as a spokesperson for the association. Follow her beer adventures on Twitter @HerzMuses.